If there is one thing that current UFC women’s bantamweight champion and the likely Republican candidate for President of the United States, Donald Trump, have in common it is their disdain for former champion, Ronda Rousey. 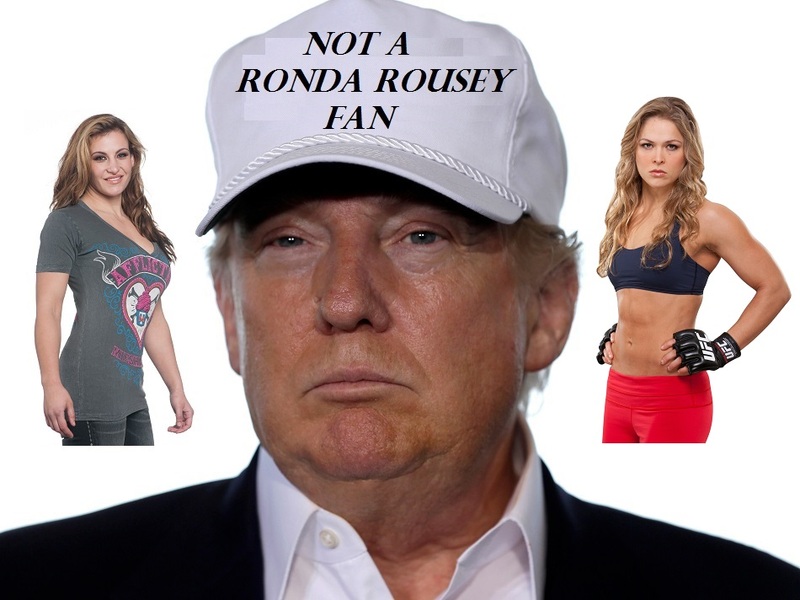 When it comes to policy, Tate says Trump has one thing 100% right … his blinding hatred for Ronda Rousey! “I wouldn’t say that I’ve supported him,” began Tate. “I would say that I maybe like the idea of a Republican, just for the simple fact that we’ve had two Democratic. You know. Simple as that. Miesha Tate — Best Thing About Trump Is That We Both Hate Ronda!